A small independent oil and gas company headquartered in Purcell, Oklahoma is one of three companies that won bids to explore the world’s biggest oil reserves—-those in Venezuela. It has the energy world wondering how they did it. And maybe why. 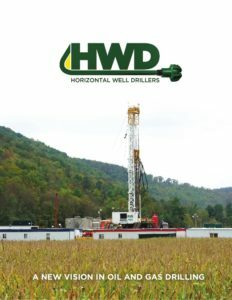 When word leaked recently that Horizontal Well Drillers LLC, whose chief executive officer is Todd Swanson, it took residents in the Oklahoma city by surprise. Some couldn’t believe the firm would risk venturing into Venezuela at a time that President Nicolas Maduro and his regime have become the target of U.S. sanctions. Horizontal Well Drillers was one of three winning bids to explore three areas of the Orinoco Belt. The other winners were Schlumberger Ltd. and the Caracas-based Y and V Group. Chevron Corp. is considered a minority partner with Horizontal Well Drillers. As for Swanson, he didn’t return calls to Bloomberg, but it’s known he is 42 years old and has an MBA from Stanford University. He previously was an analyst for the activist hedge fund Third Point LLC and served on the board of Massey Energy Co.